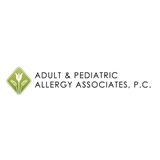 Adult and Pediatric Allergy Associates, P.C. (Avondale) - Book Appointment Online! Under the expert management of our Arizona allergy and asthma doctors, you can enjoy life and the great outdoors regardless of the season. Here at Adult & Pediatric Allergy Associates P.C, we provide comprehensive assessment and diagnose each patient carefully so that we can determine what mode of treatment will directly address the symptoms. We also conduct food testing, allergy skin testing, pulmonary function testing, penicillin testing, venom and stinging insect testing, and chemical and food patch testing. The Dr. was very thorough with her examination. she asked many questions regarding my diagnosis.and spent a lot of time with me explaining her evaluation of my issues., She did not have one hand on the door knob as some Dr,s.do but seemed genuinely intent on helping me.